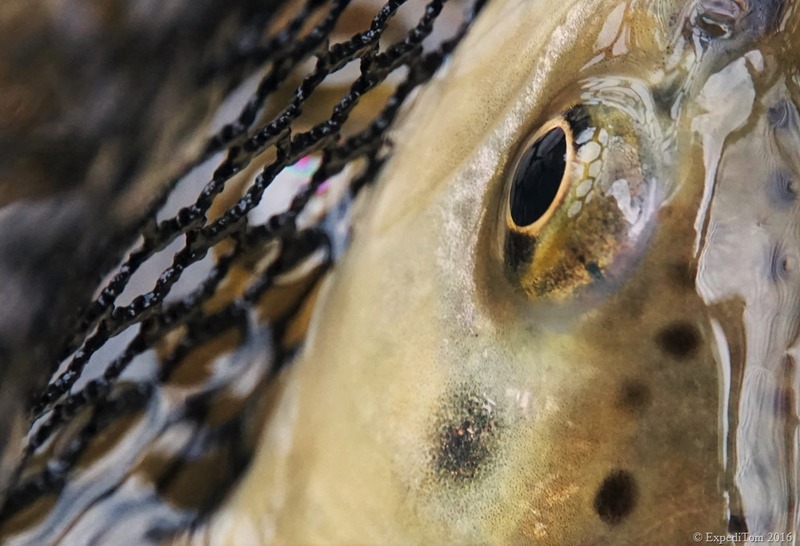 In the eye of the trout – macro shot. Having realised it is almost one year ago since my last post about the ‘Alte Aare’ fishing trip in Switzerland it is high time to write another one. 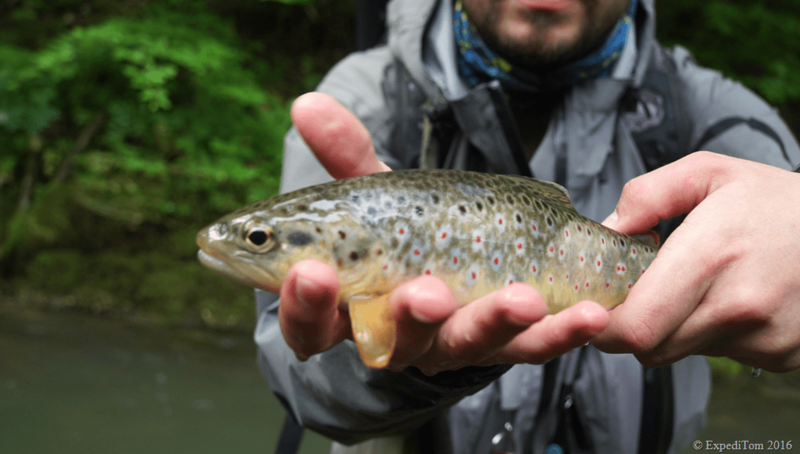 This time about fly fishing a Jura mountain creek. 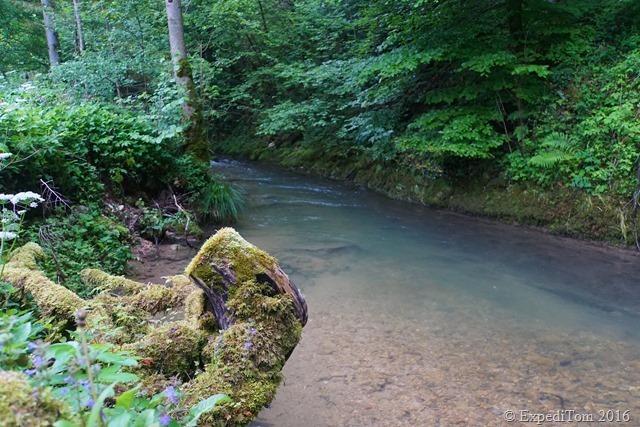 I’ve decided after some exploration by Google maps to go to a small mountain creek in the Jura. 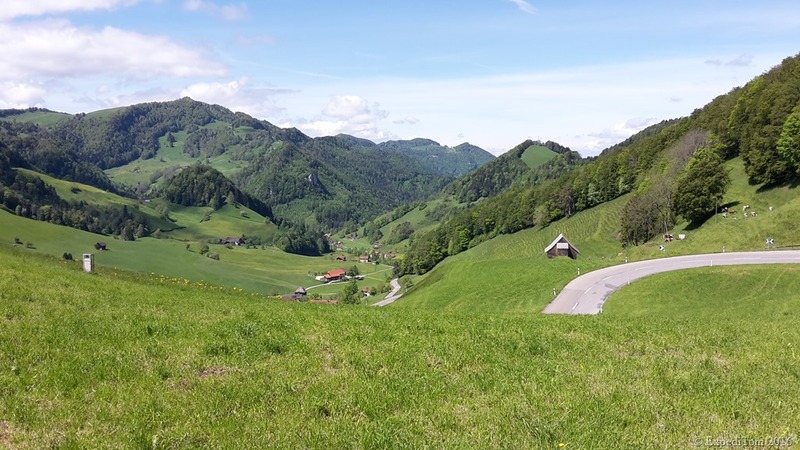 The Jura is a mountain range in the northern part of Switzerland which stretches over several provinces. I got up early at 5 a.m. and prepared for the expedition. While I packed rod, reel, wading jacket, waders, the Sony camera and an emergency kit, my cat Moritz tried to convince me to feed him. After a short breakfast (for Moritz too) I left home and drove approximately 1 hour over windy roads into the Jura mountains. When I arrived at this small creek I found to my surprise only a few pieces of tippet material left on the size 5x and 6x spool. Thus, I had to use the much too heavy 10 lb (=4.5kg) trout tippet which I still carried with me from my recent New Zealand rod trip. I should have prepared myself better the evening before. However, I put my rod together and my waders on and went to the creek. 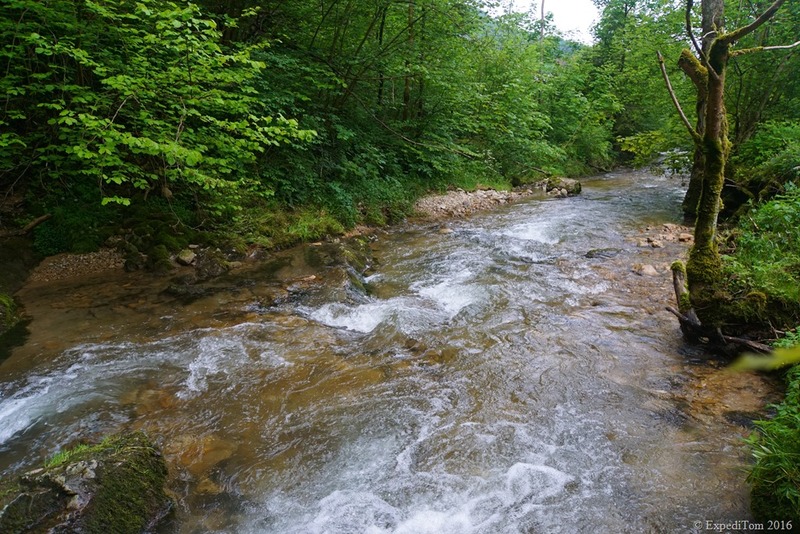 The creek itself is in the Jura mountains and flows mostly in its natural river bed over shingle and rocks. The depth ranges from only 10cm to up to 1 meter which was pretty astonishing for me. Especially, because the river is only 1 to 3 meters wide. Having said this, my only fly rod – the Scott A4 9’’ #6 was way too long and much to heavy. 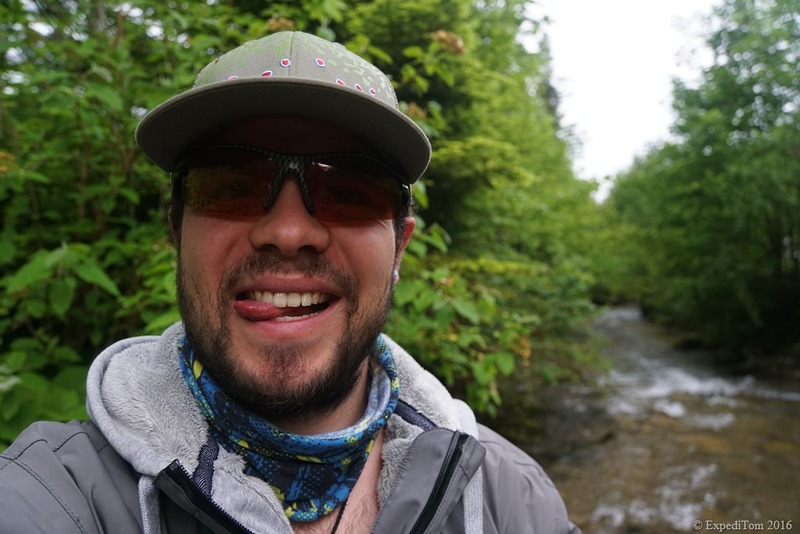 Adding to these occurrences – the huge tippet and the oversized rod – the fact that I’ve never been to this river before, I expected my chances to catch a fish to be extremely low. Finally standing in the river, I checked some stones for insects and decided to go with a dry fly dropper rig first. After fishing the first 50 meters, I realised that in the fast flowing white water my parachute dry fly wasn’t swimming very well so I changed to a double nymph rig with an indicator. I used an unweighted Pheasant Tail nymph as dropper and a weighted Copper John (by ExpediTom) nymph 10 cm below to get down. Both flies were tied during the Fly Friday. You find further information about the Fly Friday in the post named ‘Guide to Fly Tying Meetings in Switzerland’. While walking upstream, I fished several seemingly promising spots and there were heaps of them. Although quite shallow, the creek had a lot of structures such as washed out banks and tree stumps, as well as dozens of water cascades. Most of these promising spots were hard to reach due to the thick vegetation all around. Therefore, I primarily did bow-and-arrow casts, and made roll casts only every now and then. Rarely was there enough space to do a back cast. After a lot of snags around the river I succeeded to put the nymphs dead drifting through a back water behind a cascade. 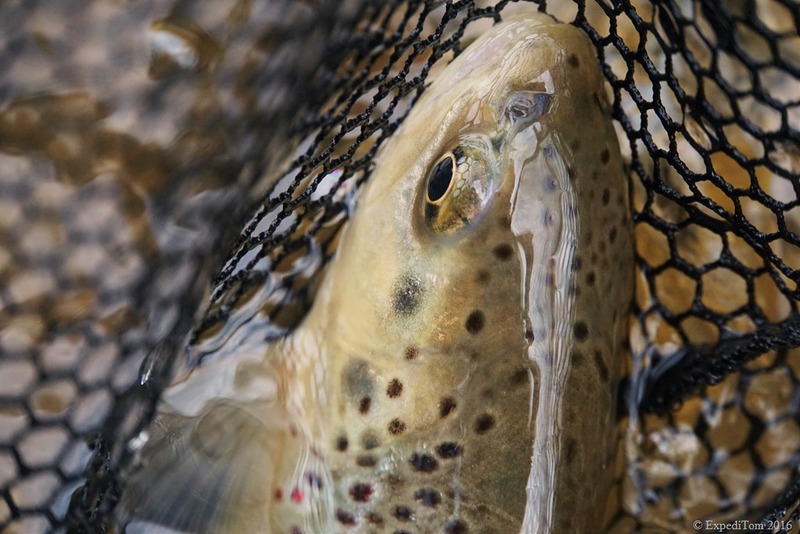 Suddenly, the indicator sunk – I gently lifted the rod – and with two acrobatic jumps the first trout threw the hook in the next low hanging branch. My heart was pounding and the excitement was huge! Enthusiastically I continued my journey upstream through the dense forest. It wasn’t long until the next fish in another pocket water couldn’t resist. This time I landed a cute trout who bit on the lower Copper John nymph. After a short photo session I released the small trout back to its habitat. They just look gorgeous! 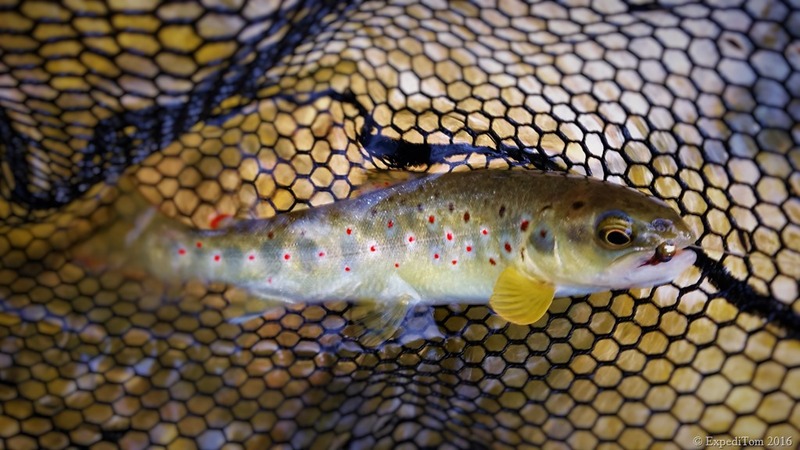 The Copper John Nymph which convinced the trout to bite can be bought here. After having caught several fish and others released in the long-range distance, I came to a very deep pool for such a small stream. It was about 1m deep and I saw one rising fish. After observing for 5 more minutes without any other surface action, I decided to still go with the double nymph rig. A few failed casts later, the rig floated the way I wanted it to and the reaction was a hesitant bite. I set the hook. Contrary to all the previously caught small fish, this trout stayed deep and didn’t jump around. So I knew it had to be a larger one – and so it was. A short drill later where I even got stuck with my rod tip in a tree, I landed this masterpiece trout that I found pretty huge for this small creek. Pure artwork. 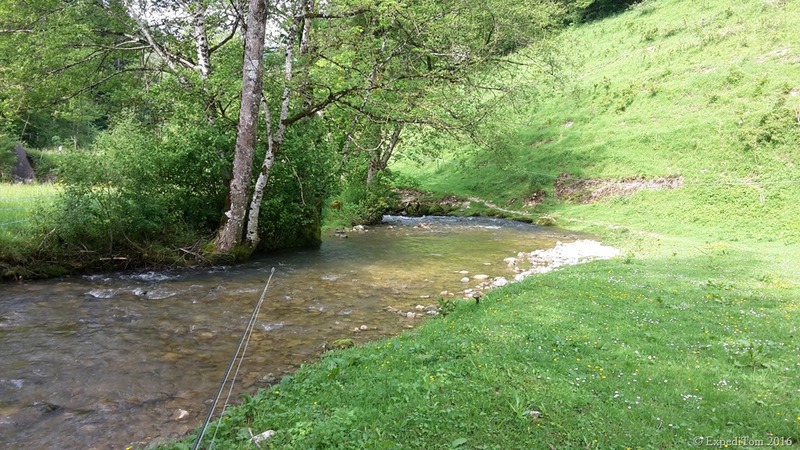 Have you been fly fishing a Jura mountain creek already by yourself? Any experience on such small creeks? 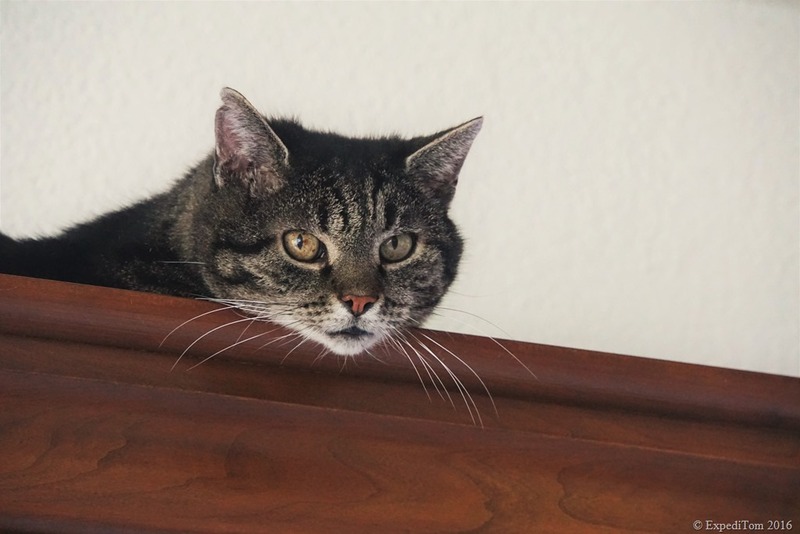 Does your cat have the same facial expression when hungy?